First Kate Spade brought some gorgeous bangles to the arm party (including this beauty), then before you can say, “load ‘em up”, the Big H gets in on the act. 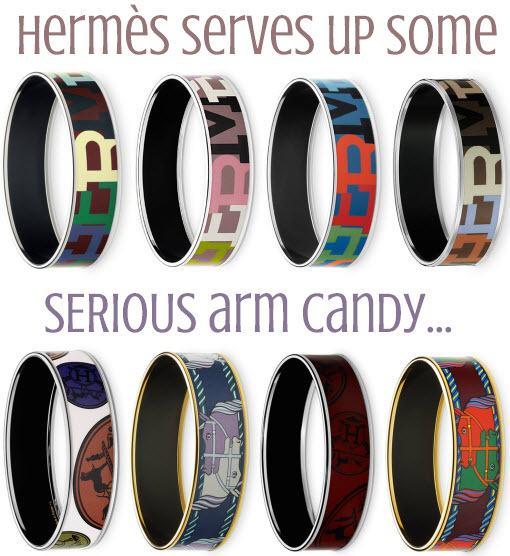 Now, I’ve drooled on about Hermès’ products before (see here), but these enamel bangles are something, else. I don’t think I can even choose favourites. Just don’t look at the price tag. Oh, you did? Yep, I thought it was a misprint too.